The moment your recipients hold a video brochure in their hands, they’ll know they are receiving something special. Further enhance your high-quality print package with finishing techniques such as gloss coating, embossing, foil stamping and more. Entice your audience with a stunning print package, then deliver the “wow factor” when they open it to reveal a vivid LCD screen. Harness the potential of video for product demonstrations, virtual tours, portfolio and showreel presentations, training and education, and so much more. Traditional brochures and flyers quickly find their way to the trash can and online videos can be easily forgotten. 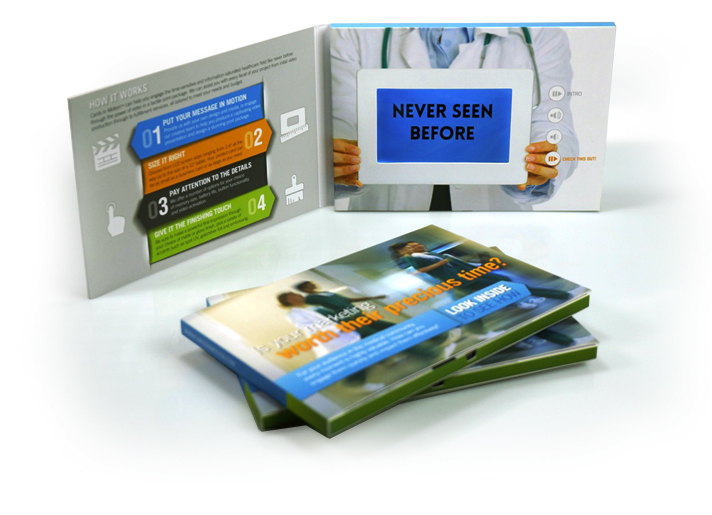 The tangible quality and high production values of a video brochure encourages recipients to keep it for repeated viewings or to pass it along to a colleague. 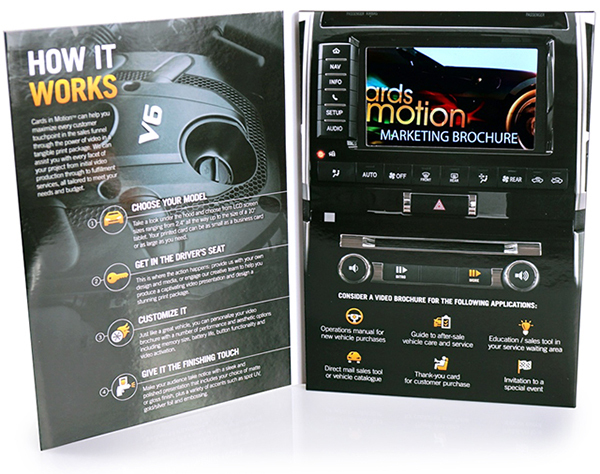 From the moment it’s delivered, a video brochure by Cards in Motion is hard to ignore – the high quality print production and substantial book-like quality beg for it to be opened. Once the front cover is lifted, the viewer’s attention is instantly captivated by vivid HD quality video with sound that communicates your message on the embedded LCD screen. All our video brochures are custom tailored to each client’s needs and budget for maximum impact.  Build your card using LCD screen sizes from 2.4" all the way up to the size of a 10" tablet. Your printed card can be as small as a business card or as large as you need. Provide us with your own design and media, or engage our creative team to help you produce a captivating video presentation and design a stunning print package. 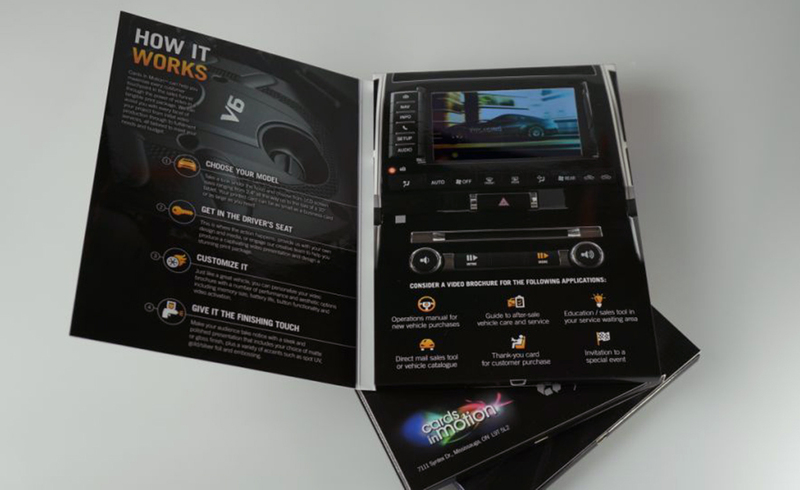 Give your video brochure the finishing touches with a number of performance and aesthetic options including memory size, battery life, button functionality and print accents. Want to see it for yourself? We’ll send you a free sample! Simply provide us with a few details about your project, and we would be happy to send you a sample of a comparable video brochure.